Anyone wanting a solid entry level rifle so they can get into long range shooting. Would make a great budget rifle if wanting to get into PRS or any other tactical shooting events. Trigger and bolt are some of the best in the industry. Bolt moves like an ice cub on glass. Trigger breaks like a candy cane. Stock is ‘good enough’. New dbm is solid and allows loading long if you are a hand loader. Stock ergonomics are not ideal for some. My magazines required very slight modification to work properly. Groups can open up when approaching 10 rounds if barrel is not allowed to cool, more on this later. 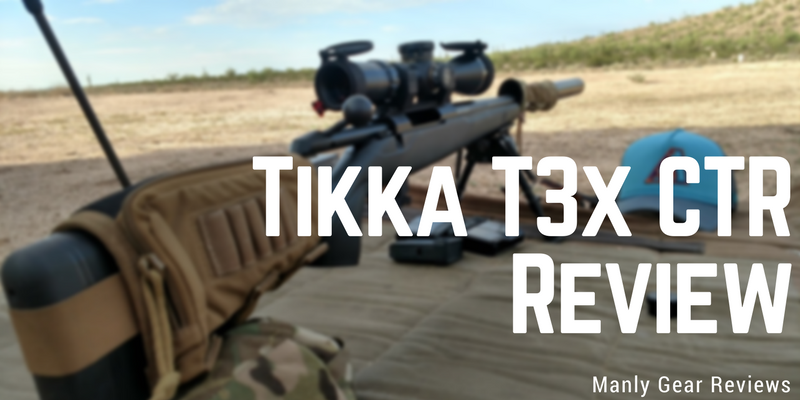 The T3x CTR is the newest version of Tikka’s do all rifle. With a couple changes to the stock and action, the main update you will notice is the new bottom metal and magazine. The magazine is patterned off the very reliable TRG-22 magazine. You can even use the more expensive all-metal TRG-22 magazine in the Tikka T3x CTR but not visa-versa. The factory DBM is a very impressive piece of equipment. Ejection port widening additional screw attachments for a scope rail pretty much sums up the action changes on the T3x. Stock changes include a new recoil pad, a more vertical grip position and a steel recoil lug. One thing that sets the Tikka apart from other factory rifles is the bolt. Coming from the factory with the awesome Sako style extractor means reliability in all conditions. The CTR’s bolt is also teflon coated making it silky smooth even after Arizona dust and dirt gets all over it. 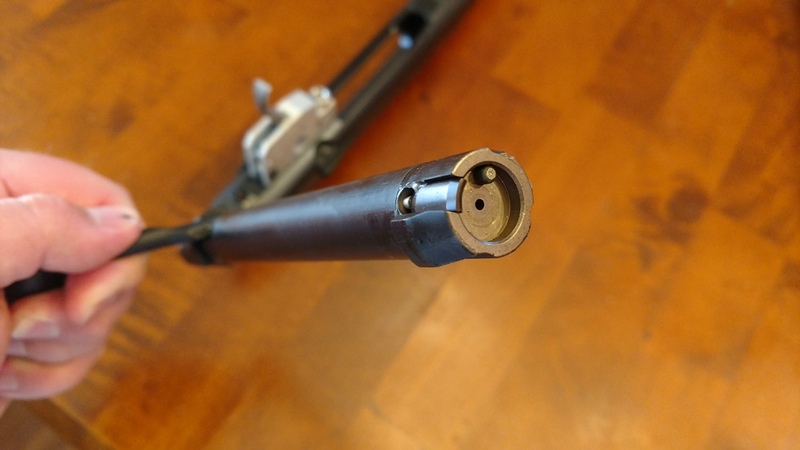 Final thing of note on the bolt is the firing pin hole size. Tikka holds very tight tolerances which eliminates all primer cratering. Note to handloaders: Yes, you can run small primer brass without the need to bush the bolt! The Tikka CTR trigger is held in by one 5mm bolt and is indexed in the rear with a sear block safety mechanism. The trigger is a carry over from the standard t3 and I say thats a good thing. From the factory these triggers break around 3-4#. Using the trigger adjustment screw you can adjust it down to just under 3# from the factory but a very simple spring swap can get you sub 2# if you like. You’d be hard-pressed to find a better trigger, factory or aftermarket. The safety on the Tikka t3x is a steel rod that sticks up into the bolt and physically blocks the firing pin. It is one of the better safety mechanisms I have seen on a factory rifle. After owning several rifles in 6.5 creedmoor, 6.5×47, 6×47 Lapua etc I decided it was time to get back to an old classic, the 308 Winchester. As with any rifle, a shooter may need to make some basic ergonomic changes before shooting. For me, that means throwing on my Triad Tactical cheek pad and installing a Sterk bolt knob. Nothing is wrong with the factory oversized CTR bolt knob, I just really enjoy the ergonomics of a swept handle. Scope used for testing was a Bushnell LRHS 3-12×44 in Seekins rings. Note: All accuracy testing was done with a Triad rear triangle bag, Harris bipod and a Templar Tactical (now known as Crux) suppressor. The cover on the suppressor you see is a TAB Gear cover and is pulled back in most pictures to allow the suppressor to cool. Distance was 100 yards. 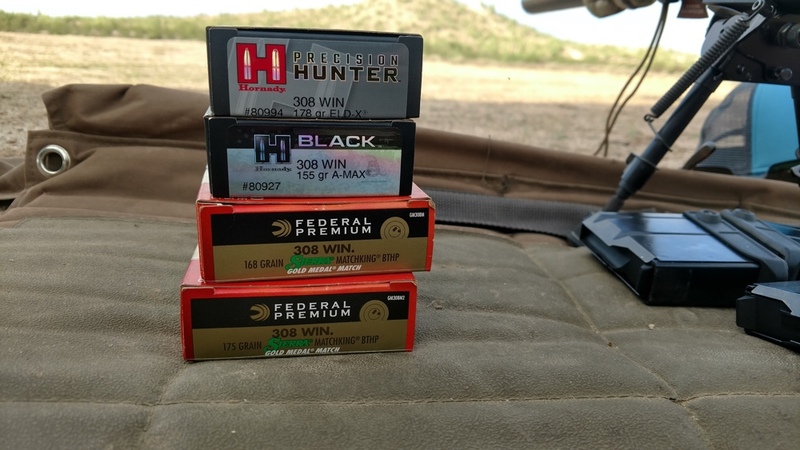 The factory ammo we decided to test was Federal Gold Match 168 and 175, Hornady Black 155gr and Hornady Precision Hunter 178 eld-x. 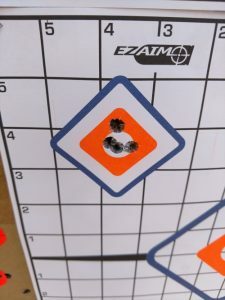 All groups are 5 shots. The top left square was FGMM 175 and top right was FGMM 168. No surprises there as this ammo seems to shoot in every 308. 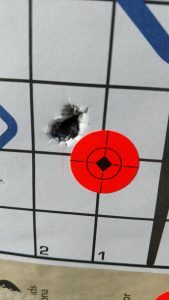 Bottom left was the Hornady Black 155gr. This is obviously not ideal accuracy. Spoiler Alert: This became the most accurate factory load after I did my stock upgrade. Who would of thought. Bottom right was the Hornady Precision Hunter 178gr ELD-x. Not ideal but the barrel was taking forever to cool from the last group so I bet it would of been a different story if it was the first group of the morning. Also, the three shots under the group are from sighting in earlier. Final note on accuracy testing: One thing to keep in mind with the Tikka CTR is the barrel isn’t a super heavy contour. I’d say its in-between a Remington Varmint/Sendero and a #5 contour. Mine measured just under .8″ which means its excellent for packing around but not so excellent for long strings of fire. This is especially true on the 308 version. A .30 cal bore is quite a bit larger than the .264 bore that comes with the 6.5 Creedmoor and 260 variants. This means there is less metal to heat up, which in turn means your barrel is quicker to overheat. Keep in mind I’m shooting in August here in Arizona so the ambient temperatures are not doing me any favors. I should note I had a slight issue with the CTR magazines but was able to fix them in 30 seconds. After about 2 or 3 shots the magazine would drop. 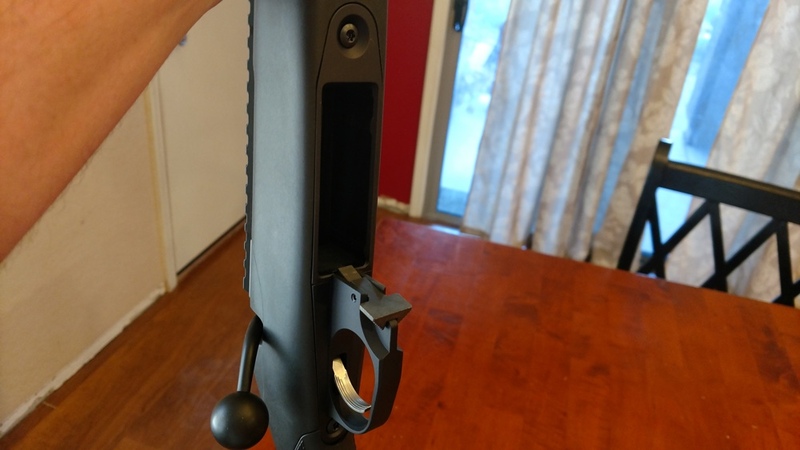 After realizing the magazine catch was not fully seating I took a flat head screw driver to each magazine and slightly protruded the top of the hole that the magazine locks into. This solved the drop issue. Feeding is butter smooth and we had no issues with trigger creep or any extraction/ejection problems. The barrel’s 5/8×24 threading was perfect and allowed a nice and tight lockup with the Templar Tactical suppressor. The stock would ride right on my collarbone when shooting prone which became uncomfortable after a while but I realize this is very much a personal thing. The barrel stayed free-floated even after loading the bipod. Very impressed with the factory stock aside from some personal ergonomic issues. Even though the factory stock is a quality unit (for a factory stock) I knew the ergonomics of it were not going to work out for me. Luckily I had a friend looking to sell his carbon fiber Manners EH1 and CDI bottom metal. Initially I was just going to move the factory CTR dbm (detachable bottom metal) over to the Manners but seeing how it was already inlet for the CDI dbm I elected to go with that instead. The biggest difference with the CDI dbm is that it uses AICS style magazines instead of the proprietary TRG-22 style mags that come with the CTR. Now we’re cookin’! I can shoot this setup all day. Much more comfortable and I can utilize all the AICS magazines I have. Even though the factory stock is fairly solid, the Manners is on another level. It even seemed to tighten up some groups, although that could just be because the shooter is that much more comfortable behind the rifle now. Remember the factory Hornady Black 155gr? Well it looks like it decided to start shooting well after the stock change. In all fairness this is 4 shots instead of 5 (I ran out) but I think it’s pretty clear which factory ammo it prefers now. All other factory loads seemed to tighten up just a hair as well. Sorry, can’t locate the picture of them. With a Unit 22 Coues deer hunt coming up I wanted to focus on the Hornady 178gr ELD-x. The factory Hornady Precision Hunter ammo isn’t shooting as well as I hoped and it’s too expensive so reloading was the easy answer. 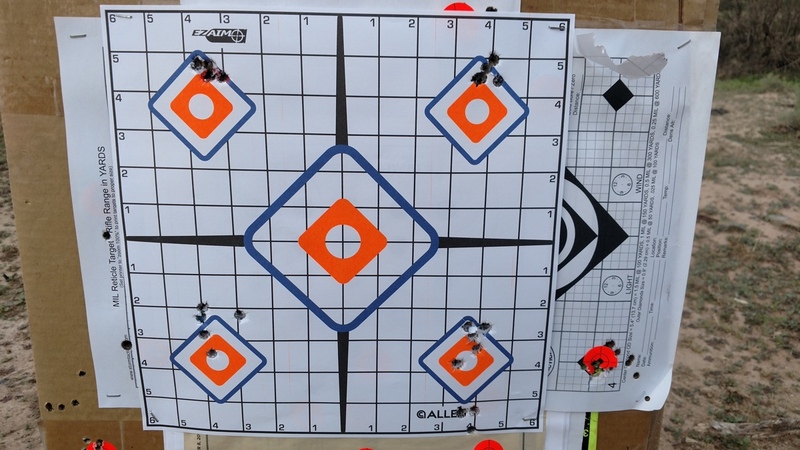 The above 100 yard group is a decent starting point but I have suspicions my rifle isn’t in love with the massive 178 ELD-x. Most would maybe stop here at this load but after seeing what this rifle did with some of the factory offerings I tried I know there is room to improve. The pictured group was shot with 178gr ELD-x, Varget, CCI-200 and Winchester brass. I’ll upload full reloading data after testing is complete. This being the 4th Tikka I have owned I kind of know what to expect at this point from the brand. Fit and finish is excellent for a rifle under $1000 and the factory equipment is more than good enough to get started. The smoothness of the bolt and crispness of the trigger cannot be understated. 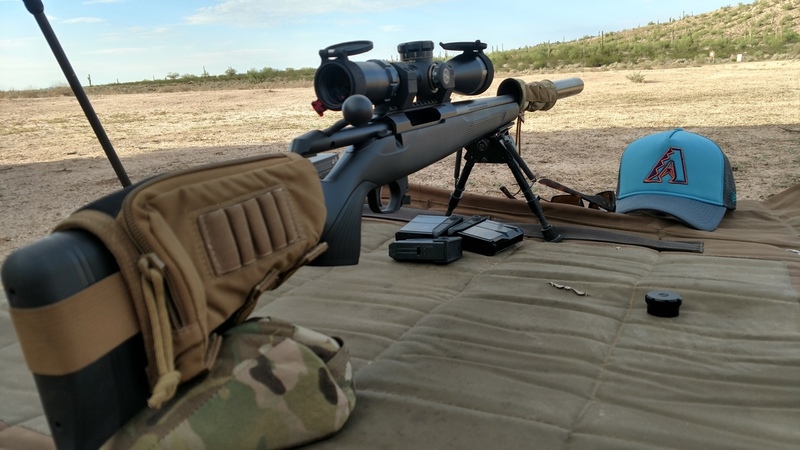 Accuracy is top notch and overall rifle weight can be kept very reasonable as long as you don’t dress it up with a heavy scope. All in, the Tikka T3x CTR is one of the best precision rifles under $1000. Is there any reason that the CTR factory DBM would not have fit onto the Manners stock? Would it have required a different inlet? 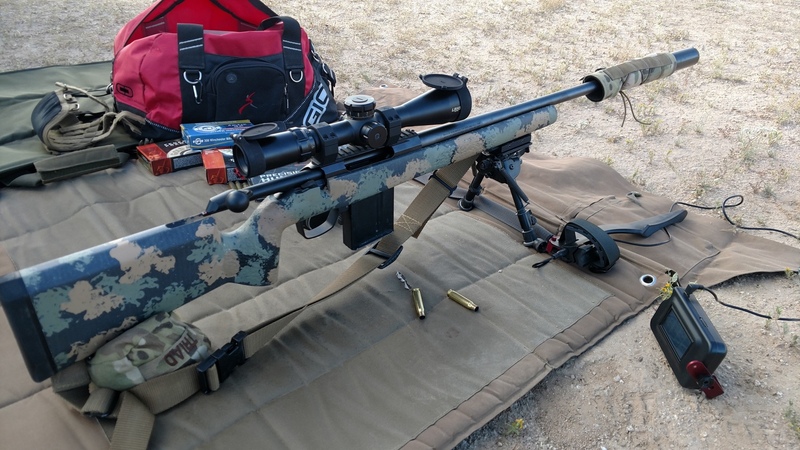 Final question regarding weight: How much does it weigh with Manners stock, barreled action (with rail, scope, & rings) not including bipod, suppressor, or sling. Manners typically inlets for the factory plastic dbm, the CTR factory dbm and the CDI dbm (this one takes AICS mags). When ordering your stock you just need to tell them which dbm you will be using. As far as weight, I can tell you the rifle without anything else on it is a hair over 7#. I believe scope and rings would be another 27oz or so. What degree is there in the difference of smoothness of the cycling and feeding from the factory version and the CDI and AICS magazine? Thank you. John – Essentially no difference in smoothness. In fact, with the new Manners CTR mini chassis I’d probably go that route next time and reuse the CTR dbm and magazines. I have heard that the Tikka CTR bolt bodies can break at the dovetail. Do you think this is a concern, and do you know if anyone makes a one-piece CTR bolt? I have also heard that the bolt-stop pins can break, although beefed up pins can be had on the aftermarket. 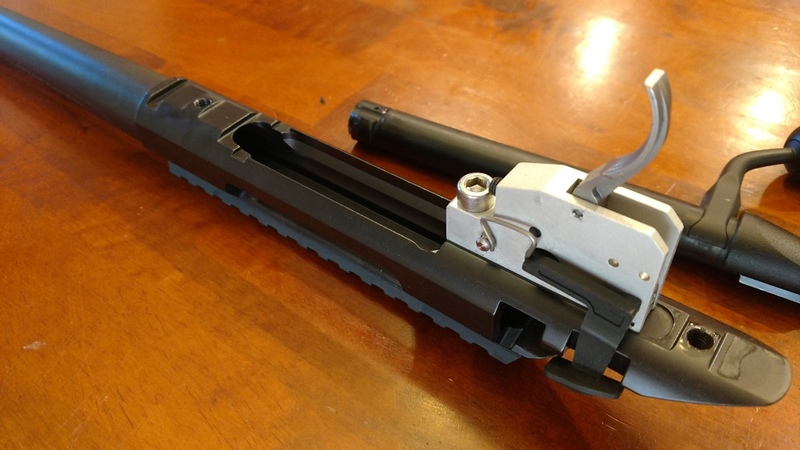 I would like to see a Tikka CTR with a carbon fiber barrel to save weight, a one-piece bolt, and a four- or five-round flush mag for hunting before I would buy one. I’ve heard of the bolt stop pins breaking but have never had it happen myself. The bolt breaking at the dovetail sounds highly unlikely. How much does the original Tikka chassis weight? If you happen to have it still, could you measure it. It would be really interesting to know and compare it to some aftermarket ones. Sorry Michael I do not have it anymore. It’s probably a hair lighter than the Manners stock that replaced it. Thinking of putting Timney trigger made for Tikka T3. I like my existing trigger but think Timney would be a plus. What do you think? Honestly I’d save your money as the factory trigger already has a fantastic break to it. There are several companies out there that sell reduced poundage springs for the factory triggers that will allow you to get in the 1.5# range if pull weight is your issue with it. When you switched to the Manners stock, did you fully bed the action or just bolt up and go? 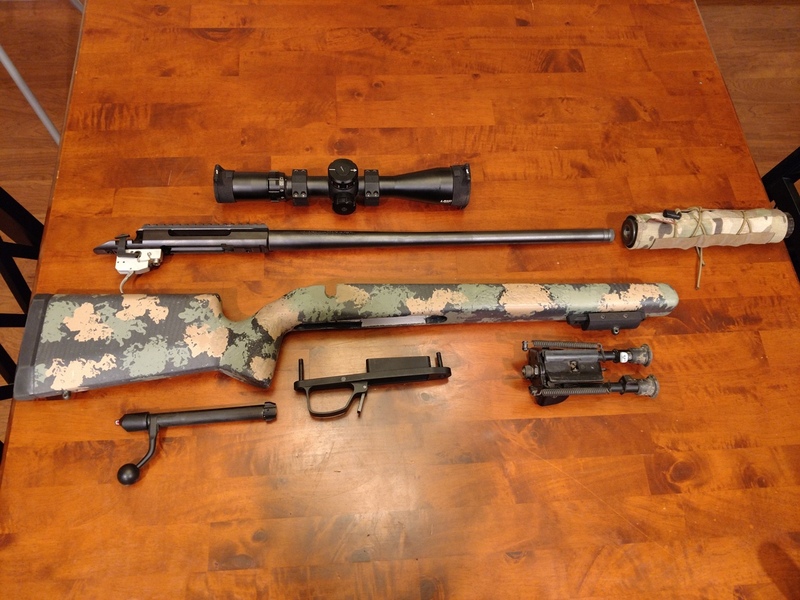 I will be picking up a McMillan game hunter and I’m wondering if modification is necessary. The McMillan stock is pillar bedded carbon fiber. The Manners is fully bedded but that seems to be overkill. My last Mcmillan that was inletted for the Tikka was perfect. Pillars and lug were bedded from the factory and were the appropriate lengths.